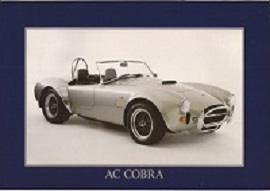 Genuine AC Cobra 4 page brochure and 1996 price list. 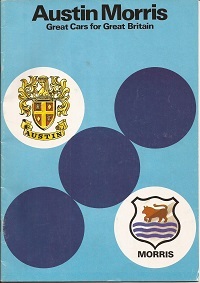 With specifications & colour photographs throughout and in very good condition. 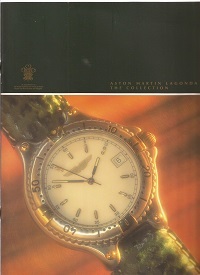 A large format colour AML gift brochure and 1995 price list. Features lots of AML gifts and accessories. Rare and in excellent condition. Complete With specifications and price list for 2-5 berth vans. Full colour and in good condition. 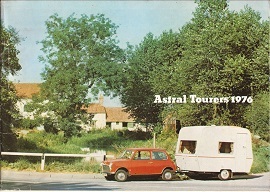 Dated 1976 and featuring BL Mini, Allegro, Maxi and Princess. Full colour and detailed specifications throughout. In good condition. 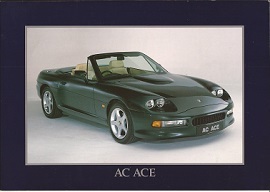 Genuine AC Ace 4 page brochure and 1994 price list. With specifications & colour photographs throughout and in very good condition. 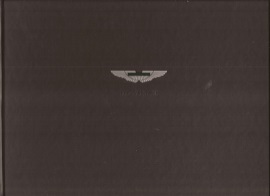 A hardback luxury sales booklet for the V12 DB7. With specifications and superb colour photos throughout. Rare and in excellent condition. 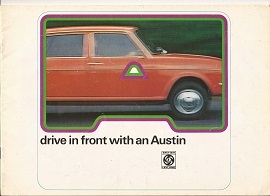 A rare foldout sales brochure for the Austin A60 Countryman. Includes specification and colour illustrations. In good condition. 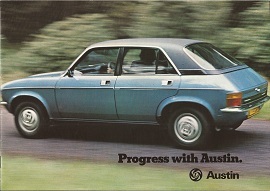 With details on the Mini, Maxi, Princess, Allegro, Vanden Plas, Marina and MG. In good condition. 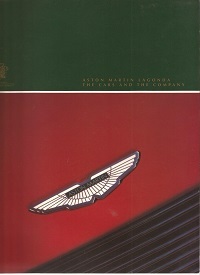 Large format colour brochure featuring the Volante, Vantage and DB7. Includes technical specifications. In excellent condition and Very rare! 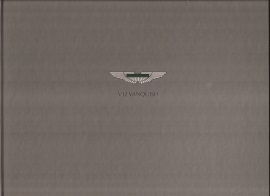 A hardback luxury sales booklet for the V12 Vanquish. With specifications and superb colour photos throughout. Rare and in fantastic condition. 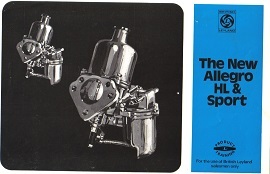 A 1974 FWD brochure, featuring the BL Mini, Allegro, Maxi and 1800/2200. In good condition. Originally for use by British Leyland Salesmen only! Includes some interesting details on improvements, plus a comparison table with rival makes. Quite rare and in good condition.